Insurance group: 13 - 22 How much is it to insure? 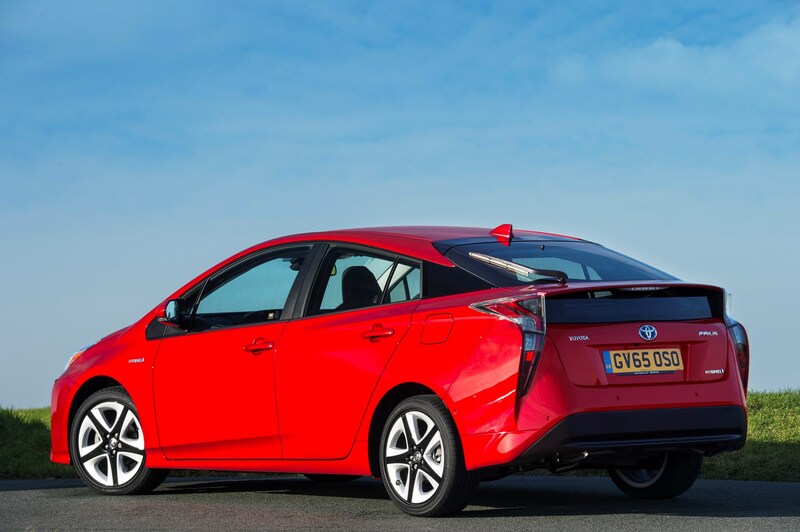 The Toyota Prius is now the go-to eco car in its market sector. That's quite an achievement considering that there are a number of players in the hybrid-specific segments of the market with the Hyundai Ioniq, Kia Niro and its premium in-house rival, the Lexus CT, the new Prius’s most obvious competition. The Toyota C-HR is another in-house hybrid alternative. Hybrid – and Plug-in – versions of otherwise conventional cars are beginning to proliferate, offering further challenges to the Prius: petrol-electric derivatives of the BMW 3 Series, Ford Mondeo and Volkswagen Passat pose a threat to the Toyota, as does the Audi A3 e-Tron. 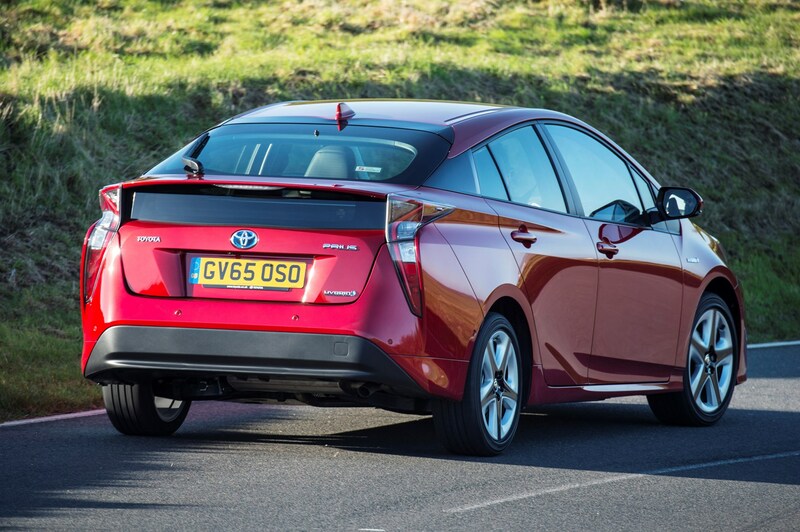 Plus there’s the inescapable truth that since its introduction the much cheaper Toyota Auris hybrid has taken away some of the Prius’s popularity. 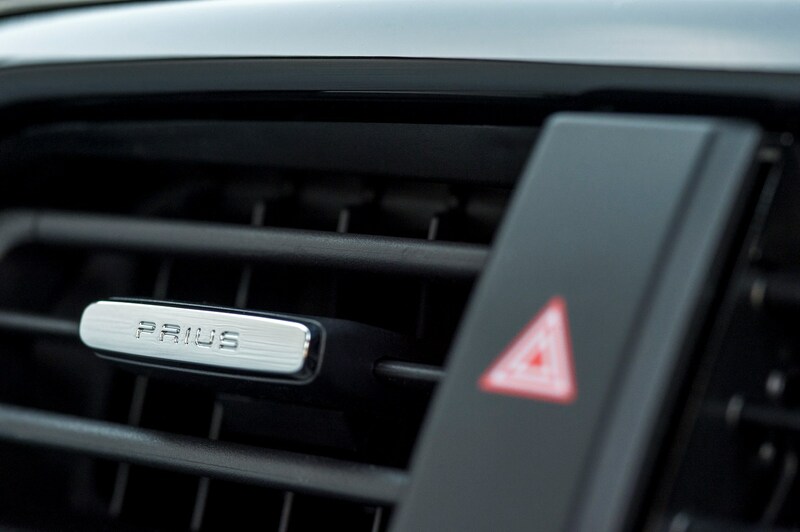 In terms of styling details, the Prius is something of an acquired taste. The Plug-in’s simpler design is a little less controversial, meanwhile. Not only is the car 20mm lower than before, it’s 60mm longer lending it a sleeker form, cleaving the air with impressively little resistance – boosting economy and reducing wind noise. The bonnet line is low – Toyota’s at pains to point out the nose badge sits at the same height as the GT86 coupe’s – improving forward visibility in the process. More of a talking point are the unusually shaped, oversized lights at either end, illuminated in part with LED technology. The Plug-in version gets a slightly more conventional look at the front with its horizontal lights, while the back features swooping units that extend across the whole width of the car. The contoured ‘double bubble’ glass on the hatchback is distinctive, too. Introduced on the 2004-09 Prius, the split rear window arrangement continues, with a more dramatic spoiler sitting atop a convex lower screen. Despite the horizontal plane in your rear-view mirror it doesn’t hamper visibility significantly. 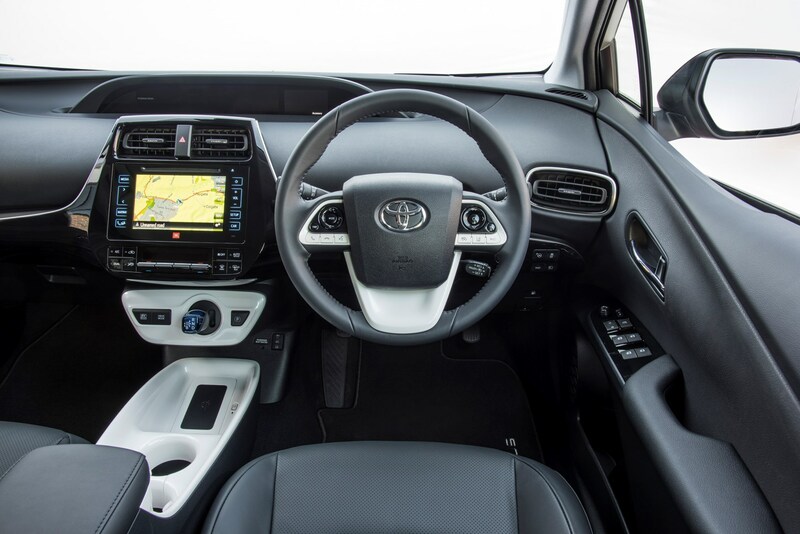 Whichever Toyota Prius derivative you opt for, all are powered by a 1.8-litre petrol engine working in conjunction with electric assistance. The hybrid model features one motor, which allied with the engine produces 123hp, with up to 163Nm of torque instantly available. Meanwhile the Plug-in version gains an additional motor, though it produces the same overall power. Stick to 15-inch wheels – standard on lower trims and a reduced-cost option on higher ones and the only option for plug-in models – for the greatest efficiency. 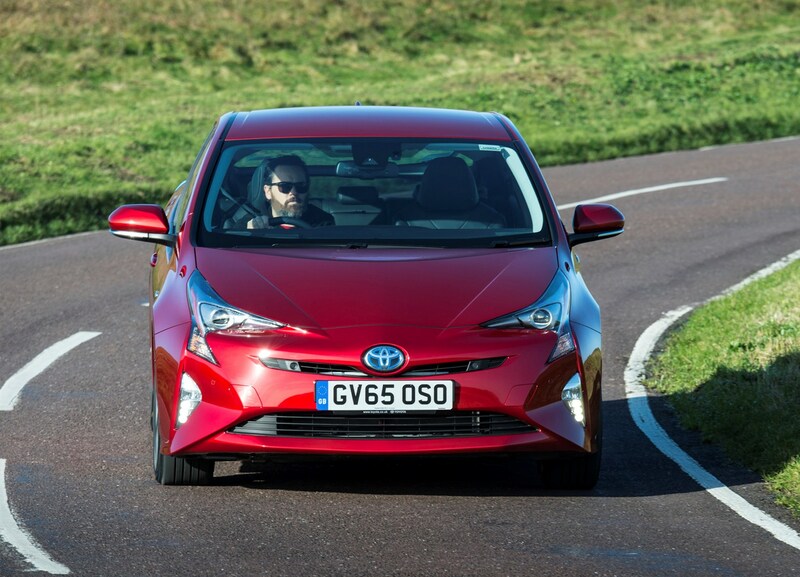 Toyota claims an impressive 94.1mpg average and emissions of just 70g/km of CO2. Keep the higher-specs’ 17-inchers on and those numbers change to 85.6mpg and 76g/km. 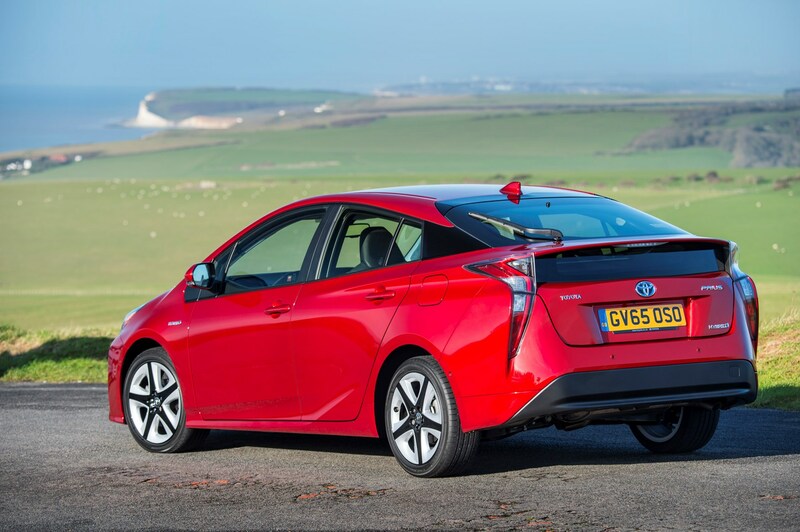 Despite low emissions – which drop to 22g/km for the Prius Plug-in Hybrid – both cars will attract the standard VED car tax rate. 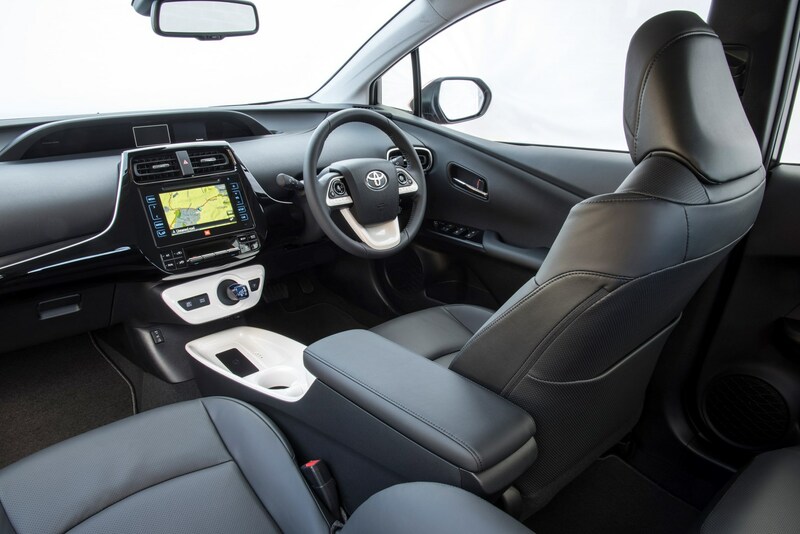 Toyota has worked to improve the hybrid system’s effectiveness, notably with the battery pack, located under the rear seat to liberate more boot space and recharging 28% more quickly. More electric power’s used to propel the Prius too, allowing it to get up to urban speeds quicker; accelerate hard when joining motorway traffic and you still get the characteristic Prius engine noise – due to the CVT automatic gearbox holding the petrol engine at high speeds – although admittedly it’s less intrusive than before. The Plug-in hybrid, on the other hand, has been optimised for electric running, with boosted electric range – with an official figure of 39 miles – encouraging drivers to charge up more often. 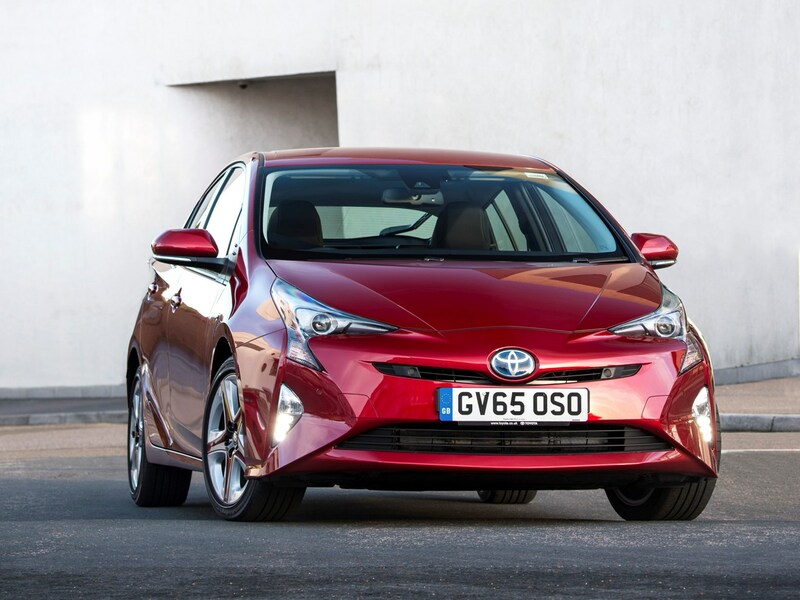 Underneath the eye-catching body, the Prius sits on a new platform, which will also underpin the replacements for the Toyota Prius+, the Toyota C-HR and the Lexus CT. 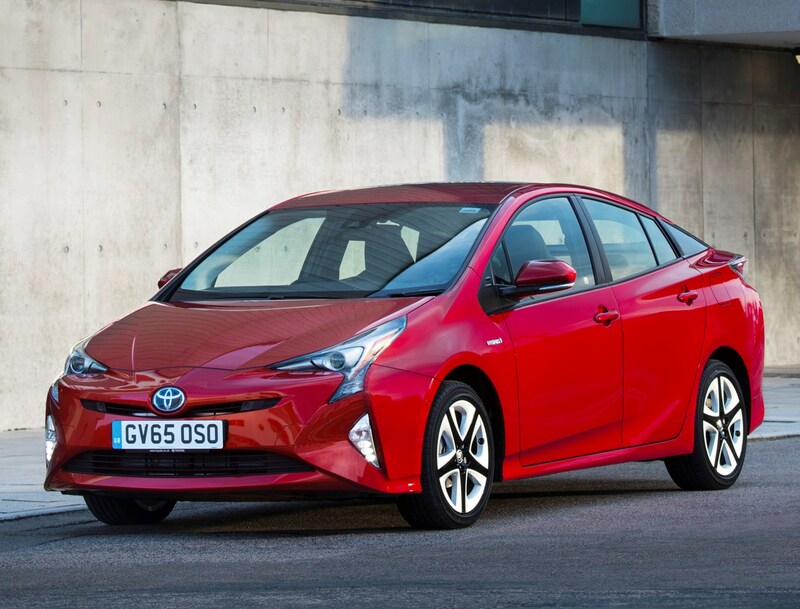 The Toyota Prius is available in four specification grades, of which the top two can be selected on the Plug-in model – Business Edition Plus and Excel. 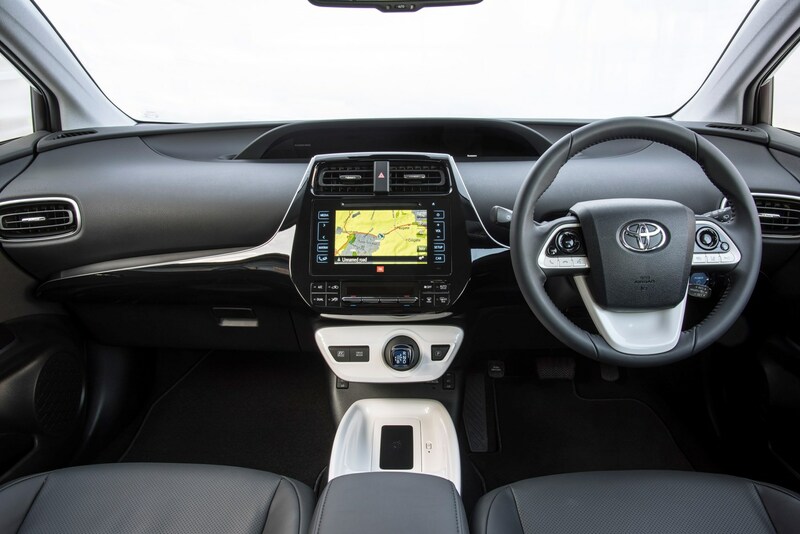 Even entry-level Active trim features dual-zone climate control, LED headlights, DAB radio and adaptive cruise control. 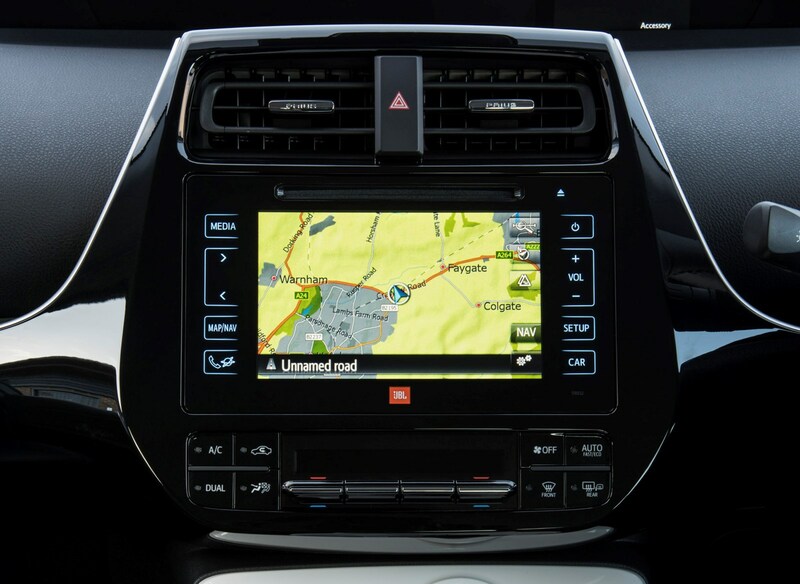 Additionally there’s a raft of active safety technology to help minimise the risk of an accident occurring as well as useful features such as self-parking and a clear head-up display system projecting your speed and a display showing how economically you’re driving onto the windscreen. 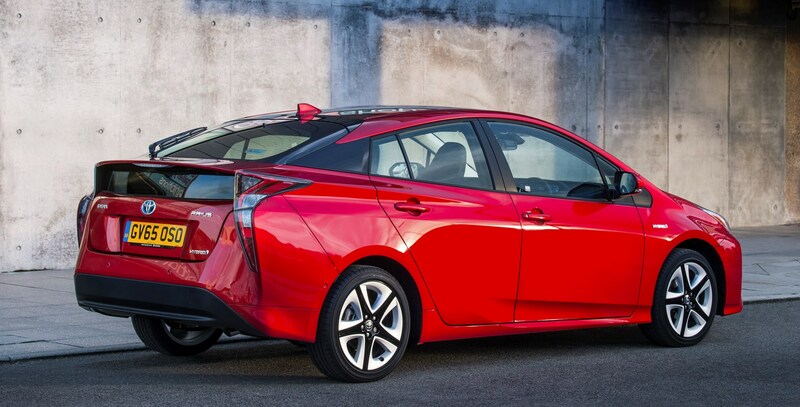 Should you buy a Toyota Prius? Yes – just how good it is will surprise you. It might have a holier-than-thou image, but it's justified given the broad range of talents that lie under its weirdly-styled bodywork. 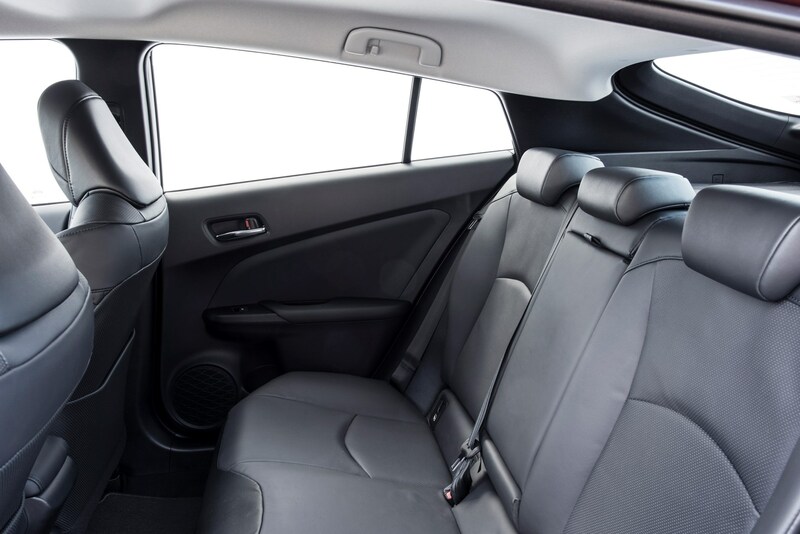 In a nuthell, the Prius is a highly-polished and very capable car. 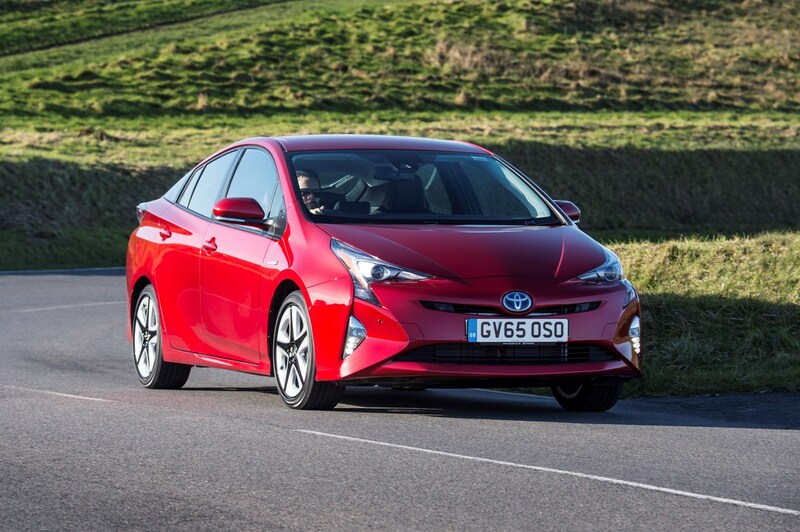 In day-to-day use and driven sensibly, a standard hybrid Prius will deliver diesel-bashing fuel consumption without difficulty. Add the plug-in dimension for someone who has a charging point and who drives primarily in town, and the potential for minimal fuel consumption is astonishing. 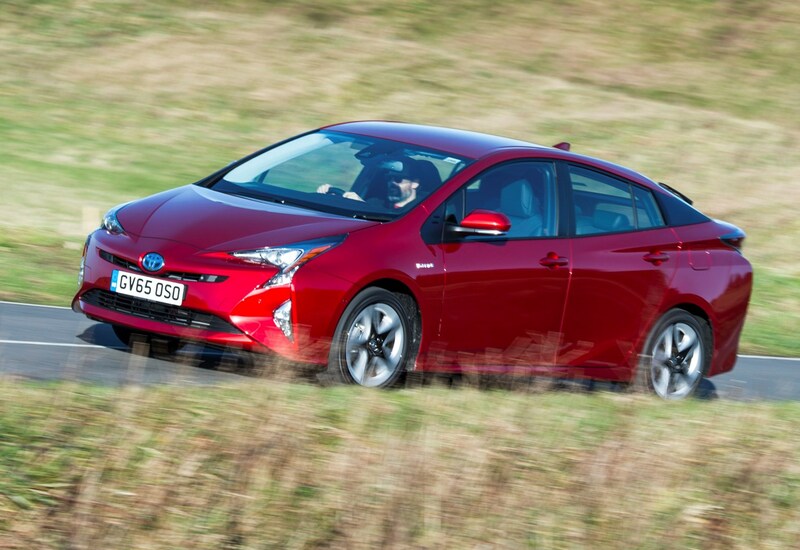 But there is more to the Prius than its planet-saving credentials. It's roomy, well-made and well-equipped, too. It's not a cheap option, but its relatively high price is partially offset by the strong warranty, almost-guaranteed total reliability, and the fact that it's a good steer in most situations. Should you buy the plug-in or the hybrid? The starting price for the plug-in Prius is considerably higher than the standard model (after the Plug-in Car Grant). 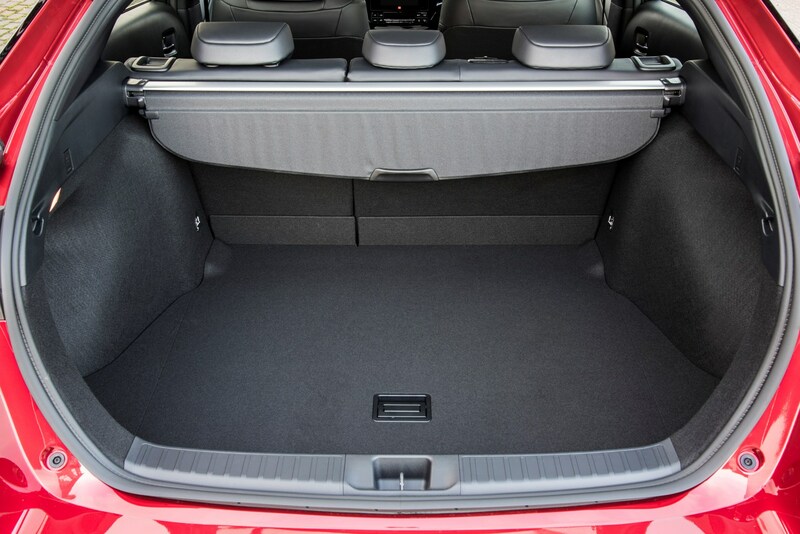 The pricier model does give you bigger batteries, but that also results in a much shallower boot and four seats rather than five. It’d take more than 100,000 miles of driving to recoup the upfront payment in lower fuel costs compared with the 'self-charging' hybrid version. Therefore, unless you plan to cover a huge amount of miles and religiously charge every 30 miles or have to have the greenest car – in which case the similarly priced all-electric BMW i3 is a wiser choice – it’s very hard to recommend the Plug-in Prius, though it is very appealing in isolation. 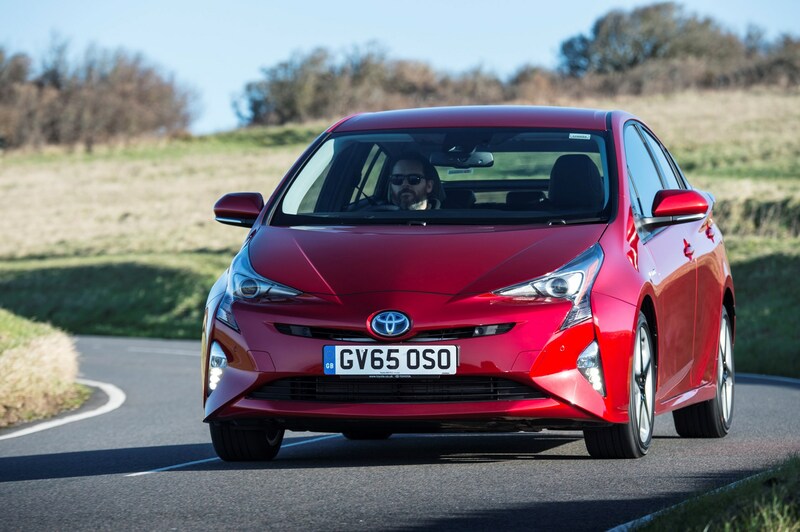 Read the Parkers full new Toyota Prius hatchback review to find out how we rate this rakish hybrid.